Theodore Roosevelt once told Congress that "contributions by corporations to any political committee or for any political purpose should be forbidden by law." If you understand why Roosevelt was concerned with corporate influence in American politics, then you'll see why Clinton is the modern-day Republican, while Bernie Sanders is the closest thing to Teddy Roosevelt in 2016. Also, when comparing both TR and FDR to Clinton and Sanders, you'll see that Vermont's Senator has far more similarities with earlier presidents who tackled the "malefactors of great wealth." 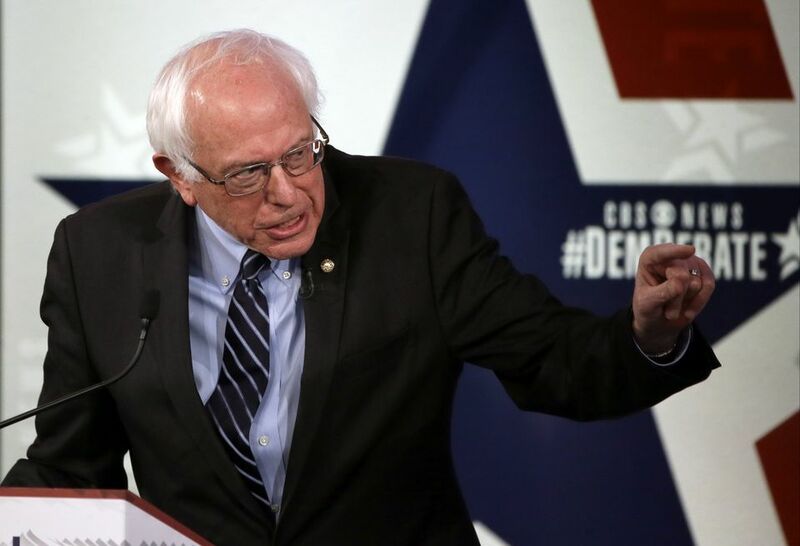 In 2016, only Bernie Sanders wants to address the structural issues leading to the financial crisis, while POLITICO once referred to Hillary Clinton as Wall Street Republicans' dark secret. I explain why Clinton and Trump would make similar presidents, especially in terms of addressing America's structural dilemmas, in the following YouTube segment. Only Bernie Sanders wants to reinstate Glass-Steagall in 2016. Hillary Clinton is against reinstating the Depression-era law separating commercial banks from risky Wall Street trading. Clinton believes since it's repeal in 1999 didn't cause the 2008 collapse, then reinstating a version of Glass-Stegall during the next presidency won't help in preventing future Wall Street crashes. Others, however, disagree with the former Secretary of State on a future without Glass-Stegall separating greedy Wall Street traders and your savings. According to The New York Times, investment manager Barry Ritholtz argued that "the repeal of Glass­Steagall may not have caused the crisis --but its repeal was a factor that made it much worse" by enabling the 2000s credit bubble to grow larger than it would have, thus making banks riskier and susceptible to collapse. I had opposed repeal of Glass-Steagall. The most important consequence of the repeal of Glass-Steagall was indirect--it lay in the way repeal changed an entire culture. When repeal of Glass-Steagall brought investment and commercial banks together, the investment-bank culture came out on top. Like Stiglitz, others agree that reinstating Glass-Steagall is essential to reforming Wall Street. World renowned economist Nouriel Roubini, the man who predicted the 2008 financial crisis while others were caught off-guard, believes "some variant of the Glass-Steagall Act should be reintroduced." You'll hear the usual logical fallacies from certain Clinton supporters saying Glass-Steagall didn't cause the 2008 crash, therefore it doesn't need reinstatement. With this logic, wearing a seatbelt isn't necessary since not buckling-up doesn't cause car crashes. Whether or not Bill Clinton's repeal of Glass-Steagall caused the 2008 crash isn't relevant. It's a fact that Stiglitz, Roubini, other esteemed economists and even Wall Street traders, believe it would have either mitigated the damage, or helped minimize the worst aspects of the $22 trillion debacle. Most importantly, stating that Glass-Steagall didn't cause the collapse, therefore doesn't need reinstatement, ignores why Stiglitz, Roubini, and others feel a renewed Glass-Steagall might help prevent or mitigate future Wall Street crashes. In addition, only Bernie Sanders wants to break up "Too Big to Fail" banks. Clinton, of course, does not want to break up any banks; at least not until the next collapse. Alan Greenspan, the former Federal Reserve chairman, said Thursday that banking regulators should consider breaking up large financial institutions considered "too big to fail." "If they're too big to fail, they're too big," Mr. Greenspan said. "In 1911 we broke up Standard Oil -- so what happened? The individual parts became more valuable than the whole. Maybe that's what we need to do." No, Clinton and Trump wouldn't dare dismantle "Too Big to Fail" banks in 2016. The underlying notion bolstering the economic plans of both Clinton and Trump (even though Clinton's is better than Trump's) is that it's better to wait until things get worse, than address structural issues before the next collapse forces us to do so. As for why Bernie Sanders is fearless in tackling the structural issues regarding Wall Street reform, while Clinton and Trump won't address these topics, let's look at the money trail. ELIZABETH WARREN: As Senator Clinton, the pressures are very different. It's a well-financed industry. You know a lot of people don't realize that the industry that gave the most money to Washington over the past few years was not the oil industry, was not pharmaceuticals. It was consumer credit products. Those are the people. The credit card companies have been giving money, and they have influence. BILL MOYERS: And Mrs. Clinton was one of them as senator. ELIZABETH WARREN: She has taken money from the groups, and more to the point, she worries about them as a constituency. To watch the video of Warren explaining how she helped educate Clinton on bankruptcy laws, just visit the Bill Moyers article. Like Warren correctly states, Clinton indeed "worries about them as a constituency." From 1999-2016, Hillary Clinton accumulated $406,232,569 in campaign donations. Clinton's two largest campaign donors during her career in politics have been Citigroup and Goldman Sachs. Of her top five campaign contributors, in addition to Citigroup and Goldman Sachs, fourth and fifth on the list are JP Morgan and Morgan Stanley. Lehman Brothers is twelfth on the list, lower on the Totem pole than Time Warner, the media giant resting as Clinton's seventh largest campaign contributor. Thirteenth on the list is 21st Century Fox, a subsidiary of News Corp and part of Ruport Murdoch's media empire. In contrast, Bernie Sanders has raised close to $21 million. During his career, four of his top five donors have been the Teamsters Union, National Education Association, United Auto Workers, and United Food & Commercial Workers Union. Bernie Sanders hasn't benefited from Wall Street donations. As for a breakdown of Clinton's PAC contributions, 51% of donations have come from business. As for the industry segments that have donated to Clinton in her career, Law Firms, Security &Investments, Real Estate and Business Services made up four of the top five industries. Then of course, there are two major prison lobbyists who've donated to her latest presidential campaign. While the finance industry does genuinely hate Warren, the big bankers love Clinton, and by and large they badly want her to be president. As [former president of UBS' investment bank] says, "There's no question, when and if she decides to run, that she's going to have an incredible support foundation from Wall Street." In 2016, Wall Street "badly wants" Clinton to be president, and most observers who link campaign contributions to future decisions as president will agree with this assessment. Clinton, based on campaign contributions, ties to Wall Street, and reluctance to tackles issues like Glass-Steagall and breaking up "Too Big to Fail" banks is a better version of Donald Trump. Yes, she's better than Trump, but that's like saying allowing the next crisis to happen later is better than simply letting it happen sooner. Ultimately, Bernie Sanders will become president because of his willingness to address pressing structural issues. I explain why I'm only voting for Sanders here, and why Bernie Sanders win the presidency in my recent appearance on The Thom Hartmann Program.